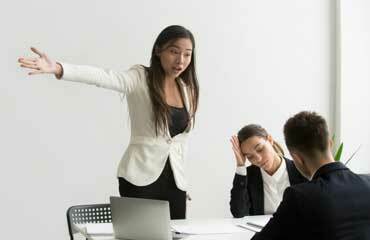 Disputes between employees occur, and when they do, they will cause confusion in the workplace. Companies already know this, and often put regulations regarding such behavior in their company handbooks. However, despite that, people will fight on occasion. While unavoidable, it is a serious matter as it affects the moral of the department and the company. By providing your manager with an apology letter, you’ll be taking the first step in mending the situation. It is with profound sadness that I must offer up to you my deepest apologies for the incident I experienced with M. Smith on last Friday, 3/30/2019. It was not meant to become such an overblown affair, and it did not represent me at my best. I am sorry for the shame it must have caused you and the company. I know that my actions have let you down and for that I am sorry. This unprofessional behavior that I’ve exhibited, fighting with a coworker, has caused you great pain and shock in my actions. This showed a side of me that you were not aware of, one that should have been controlled by me. Therefore I accept full responsibility for this, and am ready to accept a formal reprimand. What I did, engaging in a rather loud disagreement with Ms. Johnson, caused great distress to your department, my co-workers and was an embarrassment to the company. This altercation was due to a trivial matter. Ms. Johnson and I both believed that we should have been the official team leader of Project A, when in fact, neither of us knew that you had already chosen Lewis from Division B to do the honors. Therefore, our confrontation was all for nothing and based on false information. I promise that this type of debate will not occur again. In fact, I’ve already signed up for a course in Human Resources which addresses this type of behavior. Through my very own initiative I’ve demonstrated that I’m ready to take responsibility for this and blame no one else. By doing so, I am hoping that we can again, establish a bond of trust between us, as before. If there is anything else you have in mind, anything that will help in rectifying the current situation please contact me, and I’ll get right on it.